The psychology of why collectors collecting items can be a problem. Kentuckynerd.com The reason I love collecting, and the psychology of why collectors collecting items can be a problem. I’ve been an avid collector of collecting items as long as I can remember. I still remember the first time my mother brought home a full booster box of Basketball cards that my cousin and I could rip into, my collecting items adventure had begun! I don’t remember how old I was but I do remember going to grade school, and that was the thing to do was to trade basketball cards. This question I’m really not 100% certain. But I believe it had to do with everyone in the state of Kentucky loving basketball. We didn’t even have a pro team though is the weird thing. Kentucky basketball is just one of those things that growing up in KY you learn to love and cherish. The crazy thing is, though. I still HAVE cards that I traded with some of my closest friends and REMEMBER what card I traded. If you were going to school during the 90s and was at Middle Fork Elementary in Salyersville, KY. 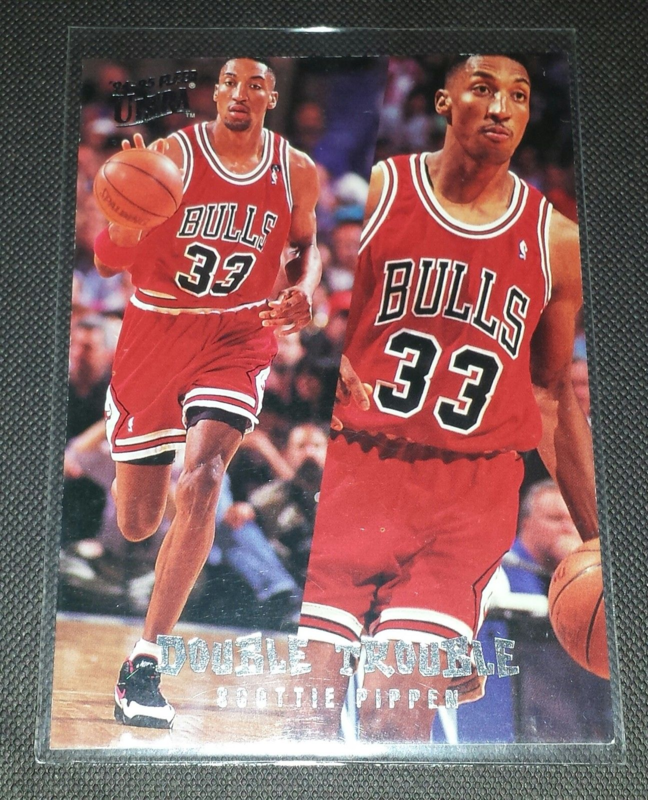 There is probably no doubt in my mine you probably had the “Scottie Pippen Double Trouble” card. This is when the Chicago bulls were rocking so naturally having anything Michael Jordan was worth something. There was also a point in time I really didn’t have a clue of what anything was worth. Such as basketball cards, because I even remember the first time I got ripped off. 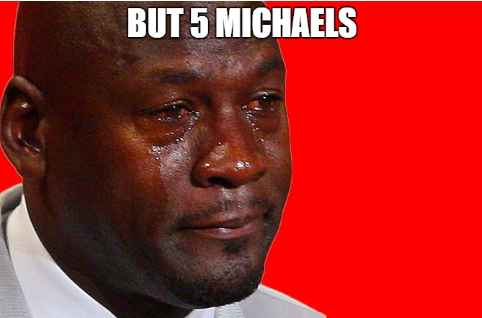 I was told by an older person possibly in 6th grade, me probably in 3rd that he would trade me like 5 MJs for my 1. In my mind, I thought I’d hit the jackpot with my collection! I went home with my 5 MJs and cherished them. Then I got older and learned there was a little book you could buy from Wal-mart. It was called Beckett, and it had all the prices of all the latest Basketball cards in it. Come to find out that card was worth $100+ and the 5 MJs I was traded was maybe $0.25 a piece. So collecting while great and all it does share some heartache. There was nothing that felt worse to me at the time than being ripped-off. Quick lesson learned, though, I usually look up the going prices of everything I virtually own before even considering a deal. Good for me bad for someone that is trying to rip me off. Why do I continue collecting items well into my 30s? I’ve asked this question to myself almost daily. Never once got close to “finishing” a hard collection. I’ve collected a few comic book runs from the 90s like issues 1-6 not a FULL series, though. For reasons unknown, I jump from collection to collection. From collecting basketball cards, comics, video games, knives, old technical equipment, and to desk toys. Seems like I always find a different thing to jump into, I find lots of things fascinating artwork on the latest magic the gathering card or the Spider-man issue. It always seems like life will get in the way or I’ll hit a bump in the road money wise and lose interest that way. There is just something about it, something about collecting, re-arranging, labeling and putting stuff up on a shelf for me to admire. Retro video games give me nostalgia back when I was a kid growing up playing the games. Collecting is special to people, there is nothing wrong with it. Some people even collect for the “investment”. I’ve never had enough money to really consider going into an investment part of collecting, some things really cost some serious cash. I do it because I enjoy it, and I enjoy trading. 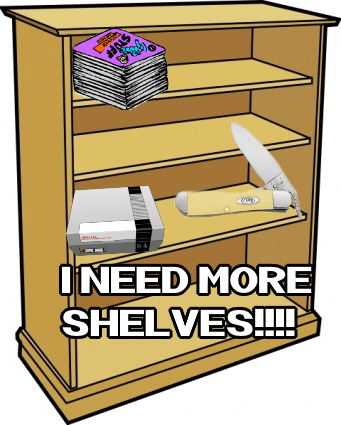 When does collecting items become a problem? It becomes a huge problem for people that get really depressed, then it turns into something more. 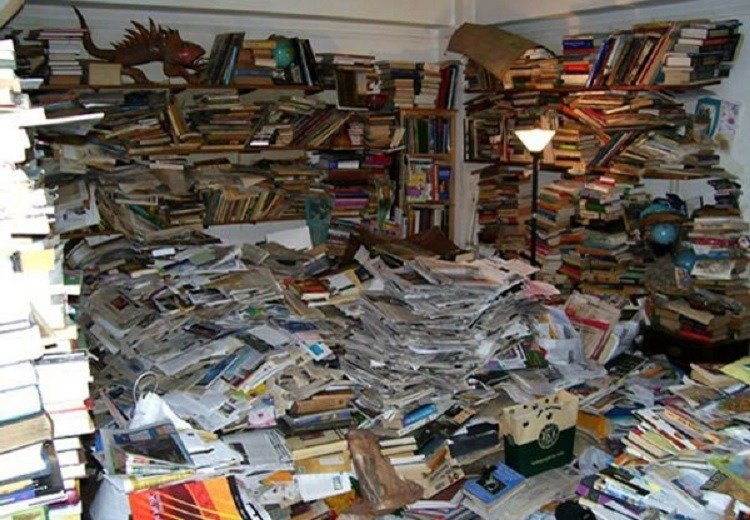 It usually turns into a problem such as hoarding. When you start literally collecting trash into the middle of the floor because you are afraid to lose it. There is some kind of illness going on. I for one cannot stand clutter and it doesn’t take me a second to take everything out to the trash if it starts getting in the way. For some people it doesn’t stop though. They will have piles upon piles of thing that they have collected for years. Never thinking once to get rid of it. Perhaps they are waiting to hand them down to the generations to come. Coming to find out, my basketball card collection isn’t really worth maybe $100 and it been 15+ years since I’ve picked up a new card. So is it really worth it? Collecting items weather it be MTG, Coins, Video games, is quite fun. Digging rough the yard-sales to hopefully find a diamond in the rough is fantastic. Maybe they are holding onto items they got whenever they was a kid and it makes them think of better times. I still to this day hold onto a cup that is worth basically nothing because it was my fathers. I think I’ll continue to collect the goods until I’m well over the age of 60. Hopefully can give them to my son. Eventually if I hit a rough spot I guess I could make some quick cash. So that is always an option. So, where do you draw the line whenever it comes to collecting items? It is whenever the floors are covered? Let us know on twitter @realkynerd! 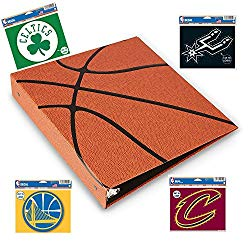 Put your basketball collection in a nice binder by click on this and heading over to amazon!